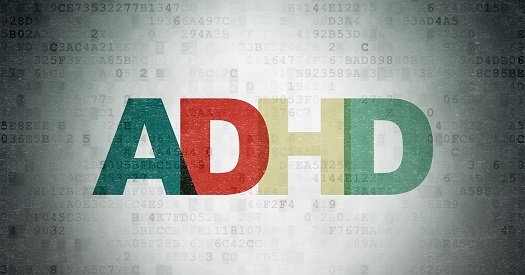 Mazindol CR (NLS-1/NLS Pharma), an awakeness regulator, showed in Phase II data that 55% of adult patients with attention deficit/hyperactivity disorder (ADHD) had their symptoms reduced by >50%, according to the Swiss biotech group. Scientists hypothesized that these results may be the result of mazindol CR’s potential role in regulating the orexins system in the hypothalamus. The Schedule IV compound, which has a mechanism of action different from stimulants and nonstimulants, met the primary and secondary endpoints in a double-blind, placebo-controlled study. The placebo yielded only a 15.8% reduction in ADHD symptoms, which were measured by the ADHD-RS-DSM-5 score. This scale yielded a large effect size of 1.09. The number of study subjects in the mazindol CR group who achieved the >50% reduction in their symptoms was relative to the 21% of participants in the placebo group who achieved a 30% reduction in symptoms. The patients in the active arm were given mazindol CR once daily, beginning with a 1-mg dose and increasing or decreasing the strength in 1-mm increments depending on the subjects’ response to efficacy and tolerability, as determined by the investigator’s clinical judgement. The maximum dose was 3 mg once daily. The study evaluated the proprietary compound in 85 adult patients with ADHD over 6 weeks, and was conducted at 7 sites across the United States. These patients were randomized to either the mazindol CR group (n = 43) or placebo (n = 42) to study the primary endpoint of a change from baseline in the Total ADHD-RS-DSM-5 score in the intent-to-treat population. The secondary endpoints were the responder analysis and the Clinical Global Impressions Scale weekly rating for the duration of the 6-week study. At Day 42, the mean change from baseline in the ADHD-RS-DSM-5 score statistically favored mazindol CR (P < .001), with 70% of the subjects treated with the compound experiencing a reduction of >30% compared with 21.1% of the subjects who received the placebo (P < .001). No serious adverse effects (AE) were observed related to treatment during the study, and none of the subjects withdrew due to AE. With its classification as a Schedule IV substance, mazindol CR holds potential for more flexibility in prescribing with minimal risk of misuse. The compound’s clinical potential to improve the symptoms of ADHD was first studied in an open-label pilot study that assessed its efficacy, safety, and pharmacokinetics in children with ADHD. Will Virtual Reality Become Part of ADHD Treatment?